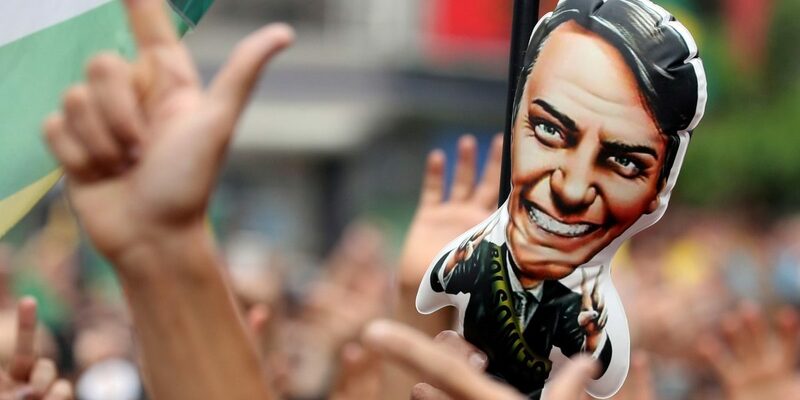 Jair Bolsonaro’s election in October 2018 as president of Brazil marked a major shift in Latin American politics, ending nearly two decades of left-wing governments. On January 1, the far-right populist officially took power and is set to introduce new policies on virtually all fronts. Many of these policies – his plan for the environment, for example – are problematic, especially given Brazil’s status as the world’s eighth largest economy and one of the five most populous nations in the globe. 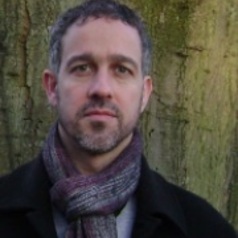 But the deeper and most pressing concerns – both at national and global levels – are arguably the negative aspects of his discourse of discrimination, intolerance and misinformation. During the 2018 presidential campaign Bolsonaro’s speeches were notable for offensive and discriminatory remarks about women, native Brazilians, Afro-Brazilians, the LGBT community and progressive intellectuals. Some of these comments were so offensive that Brazil’s attorney general charged Bolsonaro with inciting hate and targeting specific minority groups. Now, as president of one of the world’s largest economies, Bolsonaro is a ruling figure whose words and actions will have global repercussions. This can only be viewed as a threat to diversity, inclusiveness, tolerance and democracy – even more so when one considers the manner in which he and his team used misinformation or “fake news” in a systematic manner as a central part of his strategy in achieving power. This has been denounced in Brazil’s mainstream media, but it’s unlikely that will represent a setback for Bolsonaro now. He has the backing of a majority of Brazilians, and most media outlets – fearing backlash from the new president – are curbing critical opinions and news pieces. Like many of his fellow populist leaders – Donald Trump in the US and Nicolás Maduro in Venezuela spring to mind – Bolsonaro relied heavily on social media, and his most potent weapon was his WhatsApp account. Brazil has around 120m WhatsApp users – 44% of the electorate is said to have used it during the elections for political purposes. Bolsonaro’s followers created hundreds of WhatsApp groups to share text messages, images, videos and memes – most of which echoed and disseminated Bolsonaro’s misinforming and misleading content against his political rivals and the minority groups he attacked. One clear example of the way Bolsonaro used “fake news” to spread his message of, discrimination, and homophobia, was a story mainly disseminated via WhatsApp concerning his main political rival, Fernando Haddad – who stood for the Workers’ Party after the original candidate, the former president Luiz Inácio Lula da Silva, was banned because of a conviction for corruption and money laundering. 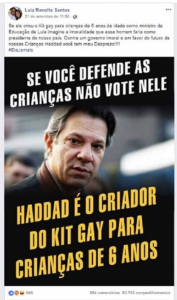 The story that was spread via Bolsonaro’s social media channels was that Haddad had created a “gay kit” which he planned to introduce in primary schools so that children from the age of six “would be encouraged to become gay”. In fact, Haddad, as Brazil’s former minister for education – and alongside other politicians – had promoted an educational programme for primary school students to understand sexual diversity and combat homophobia. 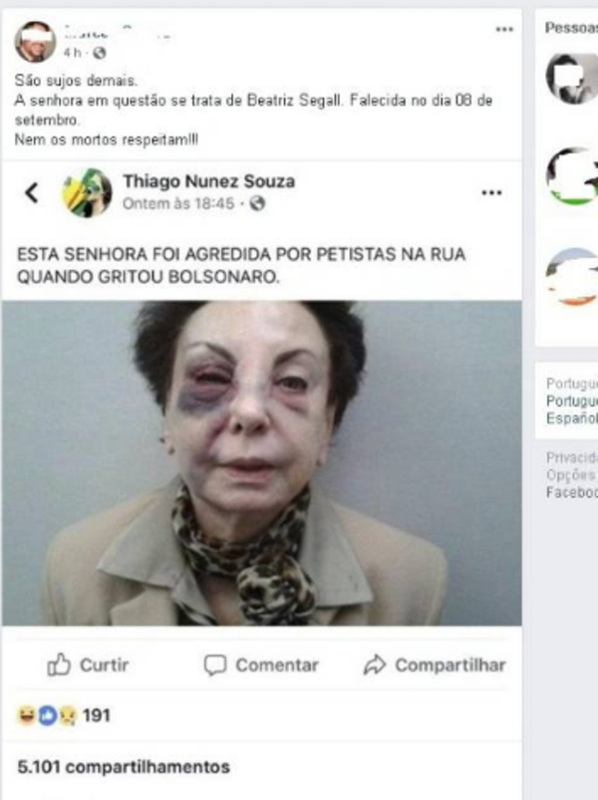 On another occasion during the campaign, an image was circulated of actress Beatriz Segall with a black eye The WhatsApp post falsely claimed that Segall had been beaten up by rival Workers’ Party supporters while she was rallying in favour of Bolsonaro – in fact she sustained the injury in a car accident. One month before the election, in September 2018, Bolsonaro was stabbed during a campaign rally by a man called Adélio Bispo de Oliveira, who said God had sent him. The Bolsonaro campaign circulated an image of Oliviera alongside Workers’ Party leader Lula da Silva, at a street demonstration with the caption: “How can anyone doubt that the aggressor was not given orders by the Workers’ Party?”. The “aggressor” had a history of mental illness, but no evidence was offered to show any formal links to the Workers’ Party. Bolsonaro’s litany of racist, homophobic, sexist and xenophobic comments is long and well documented – and sadly, the president’s discourse of falsehood and his distribution of misinforming contents via social media has not stopped with his election. Ironically, having promised during his inaugural speech to steer the country “without discrimination and division”, Bolsonaro followed this with a threat to cut government advertising funds to any outlet that he judged to have spread fake news about himself or his policies. In his inaugural speech, Bolsonaro promised to build a “society without discrimination or division”. But, after just a week – and the first few policy initiatives including handing management of the Amazon to the agriculture ministry – this would appear to be yet another misleading statement from the controversial new president. This article is republished from The Conversation. Read the original article here.